White dental fillings that resemble the color and texture of natural teeth may be used to treat cavities or to replace traditional, metal amalgam fillings that have become loose or broken. If you believe you may have a cavity or you’re seeking to replace unsightly metal fillings, please call 510-582-8727 to schedule your visit with Hayward dentist Dr. Gary Fong. Dr. Fong is proud to offer mercury-free dental fillings to patients from Hayward and the surrounding Castro Valley, San Leandro and Union City areas. Although metal amalgam fillings have long been the standard for treating cavities, they have a number of drawbacks when compared with modern tooth-colored dental fillings made of composite resin or porcelain. Amalgam fillings are essentially packed into a tooth cavity; over time, the metal can weaken and cause the fillings to loosen or break within the tooth. Fillings made of porcelain or dental resin are bonded to the affected teeth, which allows Dr. Fong to leave as much of teeth intact as possible while restoring function and appearance, and protecting the teeth from further damage. With proper care, tooth-colored dental fillings can perform and maintain their appearance indefinitely. White dental fillings can be used as a first-time treatment for cavities, but many patients also seek to replace metal fillings with tooth-colored fillings for the cosmetic value. Amalgam fillings can be highly visible and affect how you feel about your smile. Composite resin and porcelain fillings are custom-made to fit the impacted tooth and conform with the surrounding teeth, and they can be individually tinted to ensure a seamless smile. Although white dental fillings offer many advantages over metal amalgam fillings, they are not the right treatment choice for every cavity. Your thorough exam with Dr. Fong will determine the best solution for your unique needs. To learn more about tooth-colored dental fillings, please contact Dr. Gary G. Fong today. 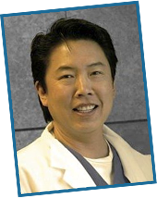 Dr. Fong welcomes patients from the Hayward, Castro Valley, San Leandro and Union City areas.